Budgets are reduced during the Christmas season as people scrimp and save to decorate their homes and buy meaningful gifts for friends and loved ones. There’s hardly any hope for charity organizations looking to make money for the coming fundraising year. Enlist a group of volunteers to paint holiday scenes on the panes of homes and businesses in your local community. Holiday phrases or scenes look great on house or business windows during the winter season. Window paint can be purchased at most art stores or department stores (like Wal-Mart) or all in one building box/hardware stores (like Rona or Home Depot)—and the clean-up is quick and environmentally friendly as well. You can even let donors know that the window painting is for a fundraiser and offer to come back after the holiday to clean up for an extra donation. You don’t have to be a graphic artist to create a touching holiday card. Stencils and memorable photos are great for sharing. Simply stop off at a local art store to purchase paint, brushes, and stencils or make them yourself from things you can find around the house (such as cookie cutters, photos, cut out snowflakes, glitter, and even finger-paints. Another great fundraising idea for holiday money-making is offering to decorate local businesses for the holidays. Many businesses don’t have time to dedicate staff to holiday decorating—and they don’t mind paying a little extra money for helpful, little charity elves to do it for them. This is a great option for school or church fundraising because you probably have access to storage space for Christmas decorations that can be used annually. Be sure to advertise online, in your local community, and by visiting local businesses to promoting your decorating fundraiser. Just like the window decorating fundraiser, you can offer to clean up when Christmas is over for an added donation. You’re probably already aware of all of the online companies that promote catalogs and sell holiday foods, décor and gift ideas that can be used as no hassle fundraisers. All you need to do is find a fundraising product company that you like and then have your volunteers knock on doors with the catalogs. Companies that have fundraising in mind usually only take small profits, while leaving the remainder to your charity cause. Hold an annual Christmas ornament fundraiser and sell an eclectic array of decorations made by your crafty volunteers. You might also be able to find a group of local artists willing to donate holiday crafts in exchange for free publicity. Regardless, custom ornaments crafted in a shape or style that has a special meaning for your charity organization will ensure a memorable and successful fundraiser. As a last option, it’s fairly easy to find a store who will sell you wholesale, manufactured ornaments in bulk for less. 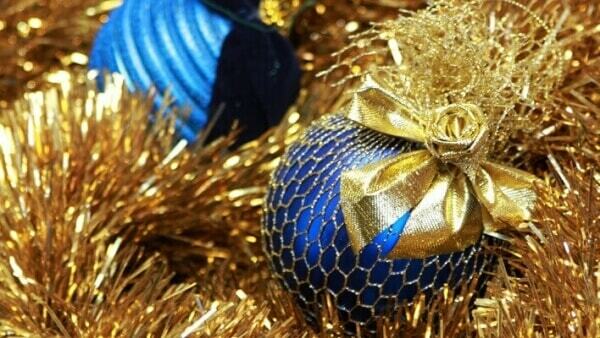 You can then raise money by selling the ornaments at a marked up price in the name of charity.